Have you ever felt like escaping your life? For a day or a weekend, maybe. But not escaping forever, leaving your husband and family behind. Probably not going as far as changing your name and never looking back. That is exactly what Emily does after a terrible secret that she can no longer overcome. Emily and Ben seem to have the perfect life. When they met, the attraction was instant and once they began dating, they were destined to be together forever. Their life together with their son is what dreams are made of. Emily is a twin. Emily’s parents always wanted just one child and when Caroline was born, after Emily, Frances and Andrew were bitter and resentful towards her. She was the child no one wanted and Caroline grew up feeling unloved and unwanted. Caroline is the exact opposite of Emily, bitter, hostile, bold, and full of issues ranging from anorexia to alcoholism. Emily’s dad is a weasel who sleeps with anyone who looks his way and her mom seems to tolerate it, until Ben and Emily’s wedding day when she finally decides enough is enough and moves out. Caroline seems to take enjoyment out of being hurtful and destroying other’s happiness. When Emily finds a life with Ben, she finally believes she can build a life without drama. If you haven’t guessed, the characters in this book are messed up. It’s distressing and depressing to watch their lives crumble as you turn the pages. Emily walks away from her life in the first few pages and while we watch her begin a new life, we are transported back to what led up to Emily leaving everything she loved behind. Reading Emily’s story is like a car accident, you want to turn away, but you just can’t. We know something terrible has happened and Emily is obviously involved in some way, but you don’t find out what caused her to leave her life behind until the last thirty pages of the book. Until then, you are subjected to her destructive and regretful choices and mournful days and nights. I have a new home, new friend, new name, and now a spanking new bedroom. But no child, no husband, says a voice from somewhere. Finding out the secret to Emily’s past in the final thirty pages made the ending feel rushed. During Emily’s creation of a new life we are introduced to new characters and I felt like those characters were abruptly tossed aside leaving the reader incredulous to the rushed conclusion. This book fits the category of unreliable narrators. What Emily leads you to believe throughout most of the book is turned upside down as her secret is revealed. Some readers may find this an intriguing style of writing and others may want to throw the book across the room in anger. I was left feeling a bit of both, but mostly with disappointment in the drawn out story and rushed ending. Tina Seskis grew up in Hampshire, the daughter of an airline engineer and a sales representative. 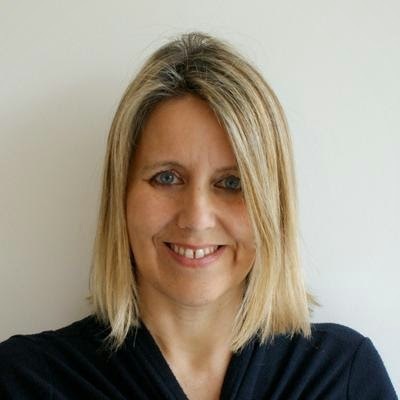 She studied business at the University of Bath and then worked for over 20 years in marketing, advertising and online, with varying degrees of success. 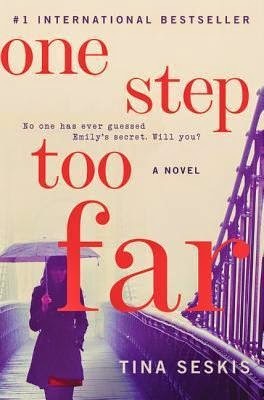 ONE STEP TOO FAR was originally published in the UK and has since become an international bestseller. Tina lives in North London with her husband and son. For more on Tina, visit her website, http://tinaseskis.com/. You can also find her on Twitter, HERE. Thanks to William Morrow for sending a copy of this book for review. This review is my honest opinion. I was not compensated in any way for this review. If you choose to purchase a copy of this book through the above link, I may receive a small commission without you having to pay a cent more for your purchase. Thanks for supporting SincerelyStacie.com reviews.